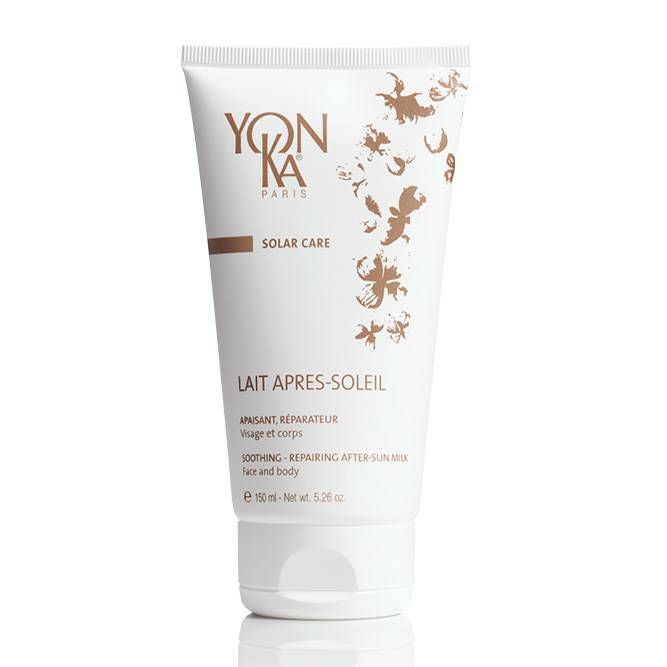 This after-sun hydrating lotion for the face and body feels like a gentle caress to the skin! From the very first application, it leaves a pleasant feeling of freshness and comfort. Apply the lotion to the face and body after each every exposure to the sun. Allantoin, St. John’s wort, calendula, chamomile, linden, cornflower, grape seed oil, cucumber, vegetable glycerin, Quintessence Yon-Ka*, vitamins E, C, A, B5.